Denver artist Esmé Patterson appears at The Saint in midtown Reno on Saturday, Oct. 20. 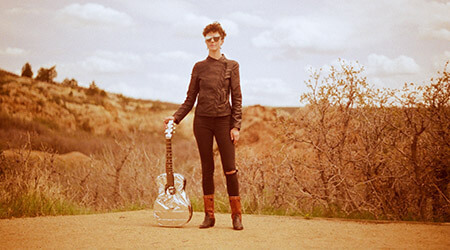 Reno indie-fold singer/songwriter Gina Rose will open the show at 8 p.m.
Esmé Patterson has been making waves all around the country since going solo in 2012 (she was previously in Denver ­based Paper Bird). Her voice is smooth and sweet when she wants it to be, and then fully rock and roll when you least expect it. Each of Patterson’s songs listens like an intensely personal diary entry, and you’ll likely find yourself relating to all of them with wide­ eyed wonder.